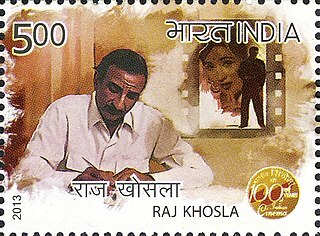 Raj Khosla was one of the top directors, producers and screenwriters in Hindi films from the 1950s to the 1980s. He was known for bringing in "neo-noir" and style in Indian cinema since black and white times, and also as a "women's director" because he showcased actresses at their best. He is often credited for the success of actors such as Dev Anand. Starting his career under Guru Dutt, he went on make hit films like, C.I.D. (1956), Woh Kaun Thi? (1964), Mera Saaya (1966), Dostana (1980) and Main Tulsi Tere Aangan Ki (1978), which won the Filmfare Best Movie Award. His early background in classical music ensured that most of his films excelled in music. Duniya is a 1984 Hindi film directed by Ramesh Talwar, starring Rishi Kapoor and Dilip Kumar as leads. The music was given by R.D. Burman. Muqaddar Ka Faisla is a 1987 Indian Bollywood film directed by Prakash Mehra and produced by Yash Johar. It stars Raaj Kumar, Raakhee, Raj Babbar, Meenakshi Seshadri, Tina Munim and Pran in pivotal roles. Agneepath is a 1990 Indian action-drama film directed by Mukul Anand. It stars Amitabh Bachchan as the protagonist Vijay Deenanath Chauhan along with Mithun Chakraborty, Madhavi, Neelam Kothari, Rohini Hattangadi and Danny Denzongpa as the antagonist Kancha Cheena. The film was produced by Yash Johar. Jaya Bachchan born on 9 April 1948 is an Indian film actress and politician. She is currently the Member of Parliament in Rajya Sabha from the Samajwadi Party, notably serving four terms since 2004. She is recognised as one of the finest Hindi film actresses of her time, particularly known for reinforcing a naturalistic style of acting in both mainstream and "middle-of-the-road" cinema. During her career, she won nine Filmfare Awards: including three for Best Actress and three for Best Supporting Actress, which makes her the overall most-awarded performer in the female acting categories, along with Nutan. She was awarded the Filmfare Lifetime Achievement Award in 2007. In 1992, she was awarded the Padma Shri by the Government of India. Dharma's next release was the natural horror film Kaal (2005), which received mixed to positive reviews from critics. This was followed by Karan Johar's musical romantic drama Kabhi Alvida Naa Kehna (2006) featuring a large ensemble cast led by Amitabh Bachchan, Shah Rukh Khan, Abhishek Bachchan, Rani Mukerji, Preity Zinta and Kirron Kher. The film became a moderate commercial success despite the fact that it dealt with the controversial subject of marital infidelity, though it was the all-time biggest earner in the overseas markets at the time of its release. Kaal or Kāla is a word used in Sanskrit to mean "time". The Tamil word kaalam refers to duration in time. It is also the name of a deity, in which sense it is not always distinguishable from kāla, meaning "black". It is often used as one of the various names or forms of Yama. Kaal/Kaala is also referred to the concept of Spacetime. In the Yogic System the concept of SpaceTime was referred to as one word rather than two separate concepts of Space (darkness) and Time. Dharma's next release was Tarun Mansukhani's commercially successful romantic comedy Dostana (2008) starring Abhishek Bachchan, John Abraham, and Priyanka Chopra. This was followed by Ayan Mukerji's coming-of-age film Wake Up Sid (2009) starring Ranbir Kapoor and Konkona Sen Sharma. Rensil D'Silva's counter-terrorism thriller Kurbaan (2009) starring Saif Ali Khan, Kareena Kapoor, and Vivek Oberoi. Both Wake Up Sid and Kurbaan received critical acclaim, but the latter failed to make a mark at the box office. I Hate Luv Storys  (2010) starring Imran Khan and Sonam Kapoor. Later that year, the production house produced the family drama  We Are Family  (2010), a Hindi remake of the 1998 American film  Stepmom . The film was not a major commercial success, but received praise for the performances of the two lead actresses Kajol and Kareena Kapoor. The company's first film of 2012 was Karan Malhotra's Agneepath , a retelling of Dharma's 1990 film of the same name. It featured Hrithik Roshan and Sanjay Dutt in the roles originated by Amitabh Bachchan and Danny Denzongpa respectively, while Priyanka Chopra and Rishi Kapoor played principal roles not in the original film. This film emerged as much larger commercial success than the original Agneepath. This was followed by Shakun Batra’s moderately successful romantic comedy Ek Main Aur Ekk Tu (2012) starring Imran Khan and Kareena Kapoor. After this came Karan Johar's coming-of-age comedy-drama Student of the Year (2012), which marked the debut of its three lead actors Sidharth Malhotra, Varun Dhawan and Alia Bhatt. Dharma's first release of 2013 was the unsuccessful teen comedy Gippi . This was followed by Ayan Mukerji's coming-of-age romance Yeh Jawaani Hai Deewani (2013) starring Ranbir Kapoor and Deepika Padukone in the lead roles with Aditya Roy Kapur and Kalki Koechlin in supporting roles. The film became a major commercial success upon its release and still ranks among the highest-grossing Bollywood films of all-time. Dharma was also one of the many production houses associated with the widely acclaimed drama The Lunchbox (2013) starring Irrfan Khan, Nimrat Kaur, and Nawazuddin Siddiqui. They finished off the year with Punit Malhotra's relatively unsuccessful romantic comedy Gori Tere Pyaar Mein (2013) starring Imran Khan and Kareena Kapoor Khan. In July 2015, Dharma distributed the Hindi-dubbed version of S. S. Rajamouli's epic film Baahubali: The Beginning (2015), which was originally filmed in Telugu and Tamil. Upon its release, the film became a major commercial and critical success and currently ranks as one of the highest-grossing Indian films of all-time. In August 2015, the company released Karan Malhotra's Brothers , an adaptation of the 2011 American film Warrior , starring Superstar Akshay Kumar and Sidharth Malhotra in the lead roles with Jacqueline Fernandez and Jackie Shroff playing supporting roles. Dharma also collaborated with Phantom Films to co-produce Vikas Bahl's romantic comedy Shaandaar starring Shahid Kapoor and Alia Bhatt, which was released one month later. Neither of these films fared well commercially or critically. March 2016 saw the release of Shakun Batra's critically and commercially successful family drama Kapoor & Sons starring Rishi Kapoor, Ratna Pathak Shah, Rajat Kapoor, Fawad Khan, Sidharth Malhotra, and Alia Bhatt. This was followed in September 2016 by Nitya Mehra's relatively unsuccessful romantic drama Baar Baar Dekho , a co-production with Excel Entertainment starring Sidharth Malhotra and Katrina Kaif. In October 2016, Karan Johar's romantic drama Ae Dil Hai Mushkil , featuring Ranbir Kapoor, Anushka Sharma, and Aishwarya Rai Bachchan in the lead roles, was released. It received mixed to positive reviews from critics and became a commercial success. This was followed in November 2016 by Gauri Shinde's coming-of-age film Dear Zindagi , which Dharma co-produced with Red Chillies Entertainment and Hope Productions. Starring Alia Bhatt and Shah Rukh Khan, the film became a commercial success and was praised for addressing themes of mental health and wellness. In January 2017, Dharma released Shaad Ali's romantic film OK Jaanu starring Aditya Roy Kapur and Shraddha Kapoor, a Hindi-language remake of Mani Ratnam's Tamil film O Kadhal Kanmani (2015). The film received a tepid response critically and commercially. This was followed by Shashank Khaitan's Badrinath Ki Dulhania (2017) starring Varun Dhawan and Alia Bhatt. A follow-up to 2014's Humpty Sharma Ki Dulhania, this film became a major commercial success. In April 2017, the company distributed the Hindi version of Baahubali 2: The Conclusion , which emerged as a larger success than the original. It currently ranks as the highest-grossing film in India and the second-highest grossing Indian film. The next was Abhay Chopra's moderately successful mystery thriller Ittefaq, an adaptation of Yash Chopra's 1969 film of the same name. Co-produced with Red Chillies Entertainment and BR Films, the film starred Sidharth Malhotra, Sonakshi Sinha, and Akshaye Khanna in the lead roles. Dharma's first release of 2018 was Meghna Gulzar's spy thriller Raazi starring Alia Bhatt and Vicky Kaushal. Based on Harinder Sikka's novel Calling Sehmat , the film became a major critical and commercial success. Later that year came Shashank Khaitan's romantic drama Dhadak (2018), which launched the careers of lead actors Ishaan Khatter and Janhvi Kapoor. An adaptation of the widely acclaimed Marathi film Sairat (2016), the film emerged as a major commercial success despite mostly negative reviews. In 2019, Anurag Singh's Kesari , a period drama based on the Battle of Saragarhi, starring Akshay Kumar and Parineeti Chopra in the lead roles. The movie earned 200 crores worldwide in the box office and is Akshay Kumar’s highest grossing film. This will be followed by Abhishek Varman's period drama Kalank featuring an ensemble cast including Madhuri Dixit, Sonakshi Sinha, Alia Bhatt, Varun Dhawan, Aditya Roy Kapur, and Sanjay Dutt. Kalank received negative reviews and only praised Kunal Khemu’s acting. Dharma has also announced the production of Good News , a comedy film starring Akshay Kumar, Kareena Kapoor Khan, Diljit Dosanjh, and Kiara Advani. The film will be directed by first-time director Raj Mehta and is currently slated to release in July 2019. This will be followed in December 2019 by Ayan Mukerji's fantasy film Brahmastra starring Amitabh Bachchan, Ranbir Kapoor, and Alia Bhatt. Dharma has currently announced more productions to be released in 2020 and beyond. One is Rohit Shetty's cop comedy masala action film Sooryavanshi starring Akshay Kumar as Veer Sooryavanshi, Katrina Kaif as his love interest, and Amyra Dastur as the victim. Another is Shashank Khaitan's war film Rannbhoomi starring Varun Dhawan  The other is Karan Johar's Takht, a period drama based in the Mughal era, which is set to feature a large ensemble cast including Ranveer Singh, Kareena Kapoor Khan, Alia Bhatt, Vicky Kaushal, Bhumi Pednekar, Janhvi Kapoor, and Anil Kapoor. Shershah which it’s directed by Vishnu Vardhan and stars Sidharth Malhotra and Kiara Advani, Untitled Horror Comedy which is directed by Bhanu Pratap Singh and it stars Vicky Kaushal, and Bhumi Pednekar, Kargil Girl, which it is directed by Sharan Sharma and will star Janhvi Kapoor, Angad Bedi, and Pankaj Tripathi. 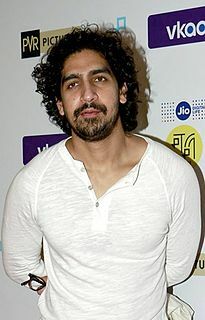 Ayan Mukerji is an Indian film director from the cinema prominent Mukherjee-Samarth family. Mukerji made his directorial debut at the age of 26 with the coming-of-age comedy Wake Up Sid (2009), produced by Karan Johar. The film opened to strong reviews and box office returns. His next release, the 2013 romantic comedy, Yeh Jawani Hai Deewani, ranks among one of the Highest-grossing Hindi films of all time. He is often referred to as Ranbir Kapoor's best friend and he also stated in an interview that Kapoor has become "something of a muse" to him. Student of the Year is a 2012 Indian romantic comedy-drama film directed by Karan Johar and produced by Hiroo Yash Johar under the banner of Dharma Productions and in collaboration with Shah Rukh Khan's Red Chillies Entertainment. The movie launched the careers of Sidharth Malhotra, Varun Dhawan and Alia Bhatt, who played the lead roles, and also featured Rishi Kapoor, Sana Saeed, Ronit Roy, Sahil Anand, Ram Kapoor and Farida Jalal in supporting roles. The movie also features Boman Irani, Kajol, Farah Khan and Vaibhavi Merchant in guest appearances. This is Karan Johar's first and only mainstream directorial venture without Shah Rukh Khan. Shakun Batra is an Indian film director and screenwriter. His first film was the moderately successful romantic comedy Ek Main Aur Ekk Tu (2012). He followed this with the widely acclaimed family drama Kapoor & Sons (2016). Both of these films were produced by Karan Johar under his Dharma Productions banner. Brahmastra stylized as Brahmāstra is an upcoming 2019 Indian Hindi-language fantasy film written and directed by Ayan Mukerji and produced by Karan Johar. It stars Amitabh Bachchan, Ranbir Kapoor, Alia Bhatt and Mouni Roy in pivotal roles and will serve as the first film in a planned trilogy. Kalank is a 2019 Indian Hindi-language period drama film directed by Abhishek Varman and produced by Karan Johar, Sajid Nadiadwala and Fox Star Studios. It stars Madhuri Dixit, Sonakshi Sinha, Alia Bhatt, Varun Dhawan, Aditya Roy Kapur, Sanjay Dutt. It is a period drama set in 1945 in the pre-independence British era. Principal photography of the film began in April 2018 and was released on 17 April 2019 on 5300 screens worldwide making it the widest Bollywood release of 2019 as yet. The opening day domestic collection of the film is ₹21.60 crore, which is the highest opening day collection for Bollywood films released so far in 2019. ↑ Punathambekar, Aswin (24 July 2013). From Bombay to Bollywood: The Making of a Global Media Industry. NYU Press. pp. 73–74. ISBN 978-0-8147-7189-1. ↑ "Yash Johar, in memoriam". Rediff.com. 28 June 2004. Retrieved 16 February 2015. ↑ "Producers Who Scored at the Box Office". Forbes India. Retrieved 5 December 2018. 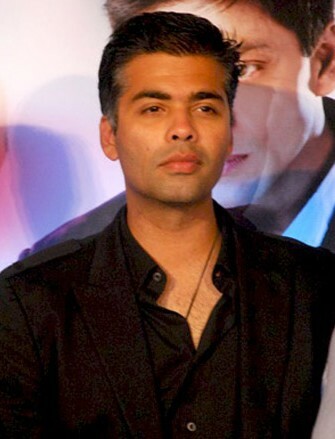 1 2 "Karan Johar launches new digital division at Dharma Productions". Times Now News. 28 November 2018. Retrieved 28 November 2018. ↑ Team, Indicine. "Dostana to Shaandaar: Dharma Productions completes 35 years" . Retrieved 12 December 2018. ↑ developer (1 November 2011). "Rishi Kapoor the versatile actor – Dharma Production". BollySpice.com - The latest movies, interviews in Bollywood. Retrieved 12 December 2018. ↑ "Dharma Productions: Ruling The Box-Office And Winning Hearts -". 23 October 2017. Retrieved 12 December 2018. ↑ "Agneepath's release date out". www.hindustantimes.com. 29 August 2011. Retrieved 12 December 2018. ↑ "Remembering Yash Johar | filmfare.com". www.filmfare.com. Retrieved 12 December 2018. ↑ Pandya, Sonal. "20 years of Duplicate: Good vs evil in Shah Rukh Khan's first double role". Cinestaan. Retrieved 12 December 2018. ↑ "Kuch Kuch Hota Hai turns 20, Shah Rukh Khan, Kajol, Rani Mukerji reunite at celebrations. See pics, videos". 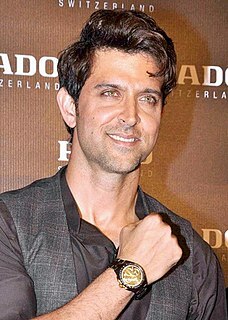 www.hindustantimes.com. 16 October 2018. Retrieved 12 December 2018. ↑ "Karan Johar Gets Sentimental On Kuch Kuch Hota Hai's 15th Anniversary". indiatimes.com. 16 October 2013. Retrieved 12 December 2018. ↑ "Dharma Productions celebrates 11 years of Kabhi Khushi Kabhie Gham". Indian Television Dot Com. 17 December 2012. Retrieved 12 December 2018. ↑ "Karan Johar gets nostalgic as Kal Ho Naa Ho turns 15". mid-day. 28 November 2018. Retrieved 12 December 2018. ↑ Malvania, Urvi (14 May 2014). "One place in India where Dharma succeeds". Business Standard India. Retrieved 12 December 2018. ↑ "'Kabhi Alvida' strikes box-office gold abroad - Times of India". The Times of India. Retrieved 12 December 2018. ↑ "4 Things They Got Wrong In 'Dostana', And That One Thing They Got So Right". iDiva.com. 14 November 2018. Retrieved 12 December 2018. ↑ "Ranbir Kapoor and Alia Bhatt starrer 'Brahmastra' to release on Christmas 2019 | Hindi Movie News - Bollywood - Times of India". timesofindia.indiatimes.com. Retrieved 12 December 2018. ↑ "'Kurbaan' - Bollywood movie posters that created controversies". The Times of India. Retrieved 12 December 2018. ↑ "It's official: Parineeti Chopra to play the female lead in Akshay Kumar's Kesari". 10 January 2018. Retrieved 12 August 2018. ↑ "Student Of The Year 2 To Be Released on May 10, 2019". News18. Retrieved 12 August 2018. ↑ "'Good News'! That's the title of Kareena Kapoor Khan's next with Akshay Kumar". DNA India. 31 July 2018. Retrieved 12 August 2018. ↑ "Karan Johar announces Diwali 2020 film 'Rannbhoomi' with Varun Dhawan in the lead". DNA India. 19 February 2018. Retrieved 12 August 2018.